Following the resounding success of our first-ever user conference, MyHeritage LIVE, three months ago in Oslo, we are thrilled to announce that we've decided to host it again in 2019! 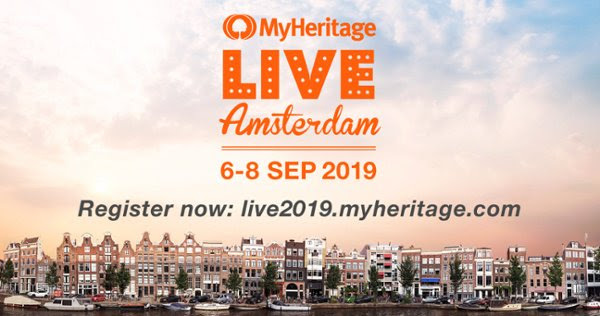 MyHeritage LIVE 2019 will take place September 6–8 2019 in Amsterdam. We'd be delighted if you would share this announcement (and the visual below) with your followers especially as space is limited and we encourage everyone to register before the Early Bird discount ends! For more information, please see the MyHeritage LIVE website and our official blog post.